JUST ILLUSIONS store location - Entertainment For HireWhen you want the best in entertainment for parties, you have come to the right place. We have over 20 years of experience. Please call or email us to reserve your date as early as possible. Scroll down to meet our staff. When you want the best in entertainment for parties, you have come to the right place. We have over 20 years of experience. Please call or email us to reserve your date as early as possible. Scroll down to meet our staff. Your child is the star of the show! All shows are age appropriate. 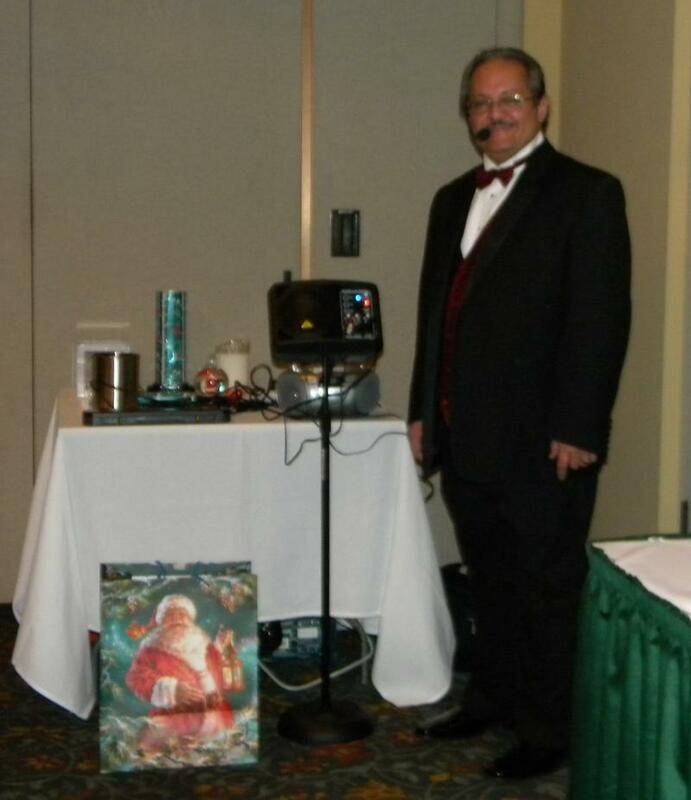 Magical music accompanies magic show. Interaction with the audience throughout the show. Age recommendation is 4 years old and up. 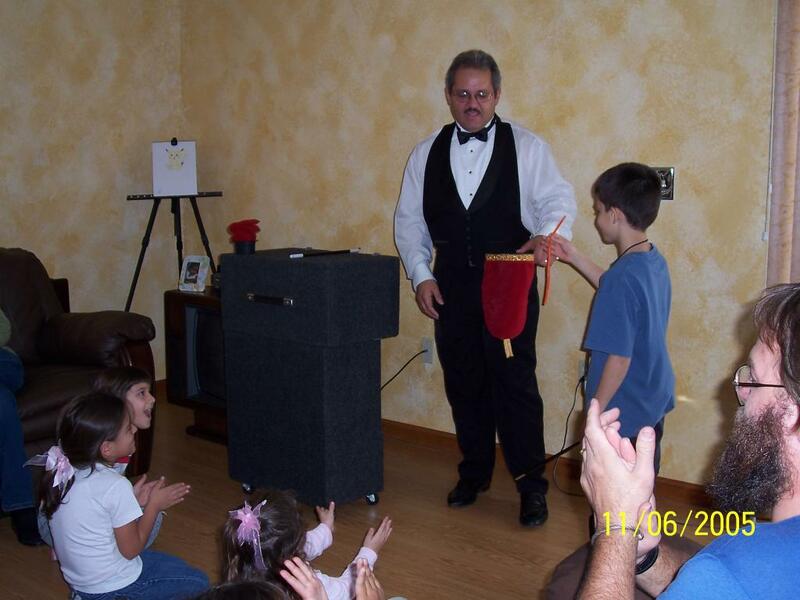 Magic show is an interactive fun filled 30 minutes. 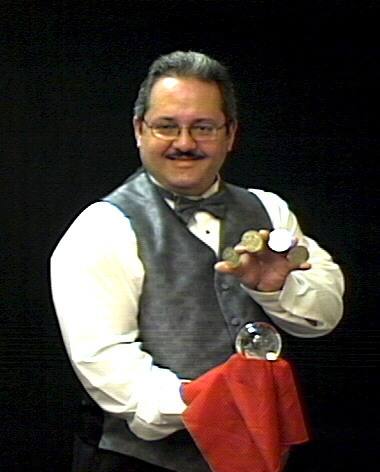 All 3 magicians on staff are currently long time members of the Society of American Magicians. We also have characterize magic shows. 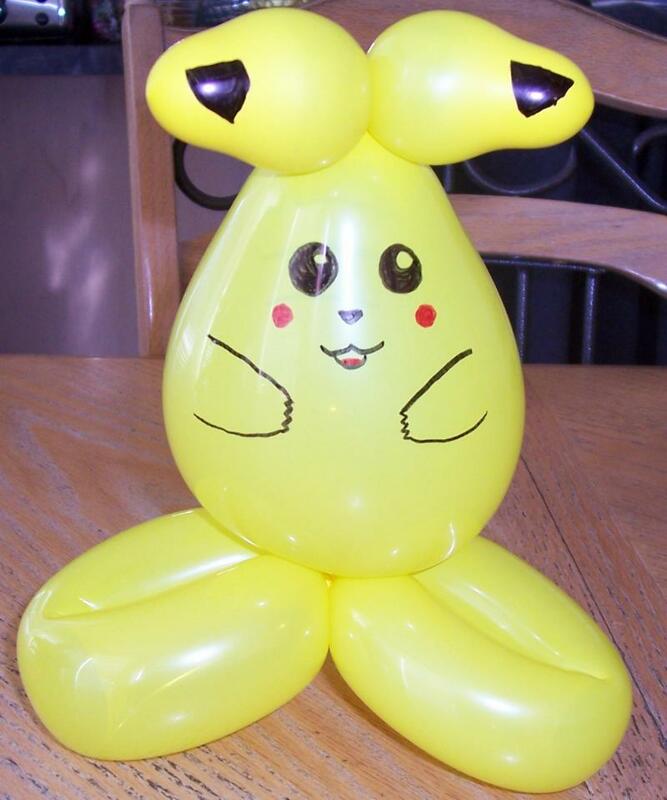 The balloon sculptures are offered in many different ways. 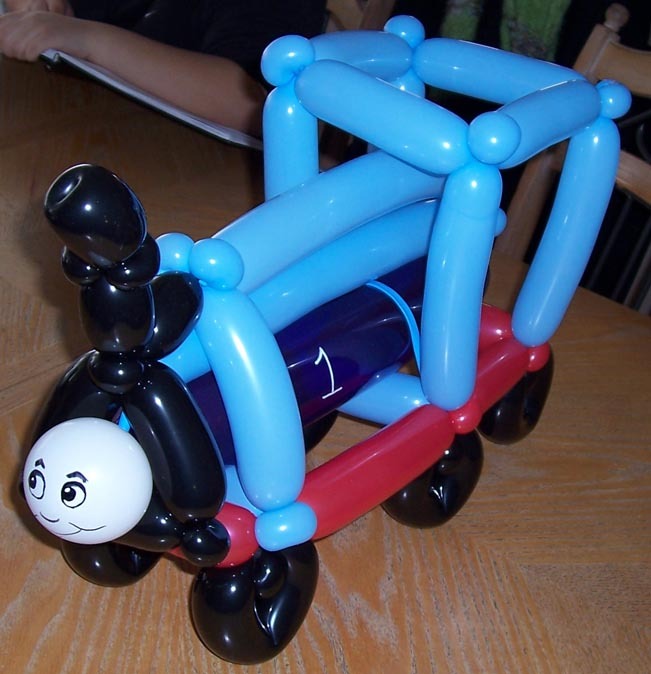 It can be part of a party package or you can place an order for your party and give out as party favors or strolling balloon sculptures or huge balloon sculptures as a gift or table centerpieces. 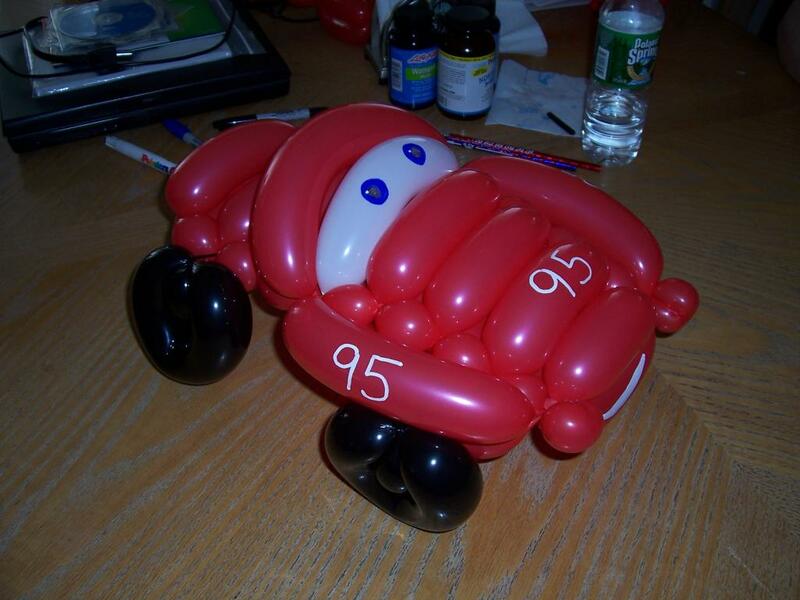 Balloon sculptures can be party theme, holiday theme, or just about whatever your guest desire. Birthday child gets a special balloon sculpture of their choice. 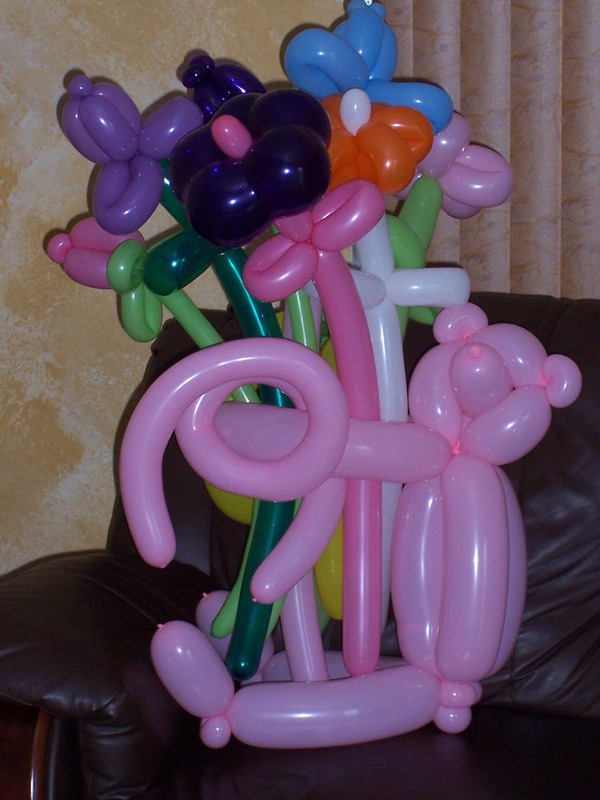 Many balloon sculptures to choose from such as aliens, parrots, rabbits, dinosaurs, teddy bears, blue dog, red dog, alien in space ship, and so on (to many to list). Age recommendation is fun for all ages. 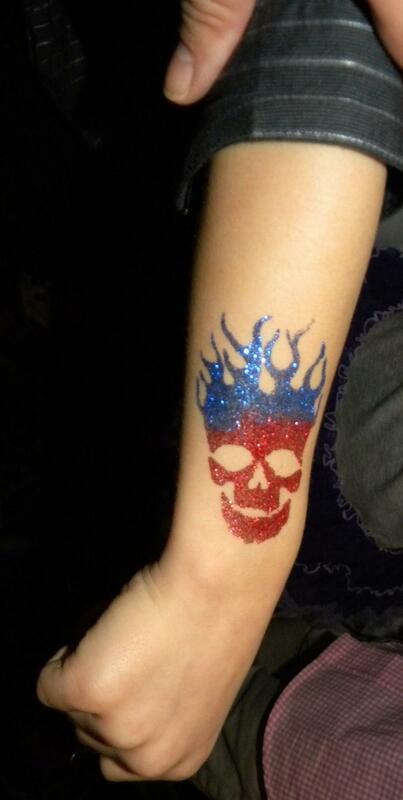 Our professional artist offers choices that can be party themed or whatever your guest desire. The artist brings pictures of the face painting choices. 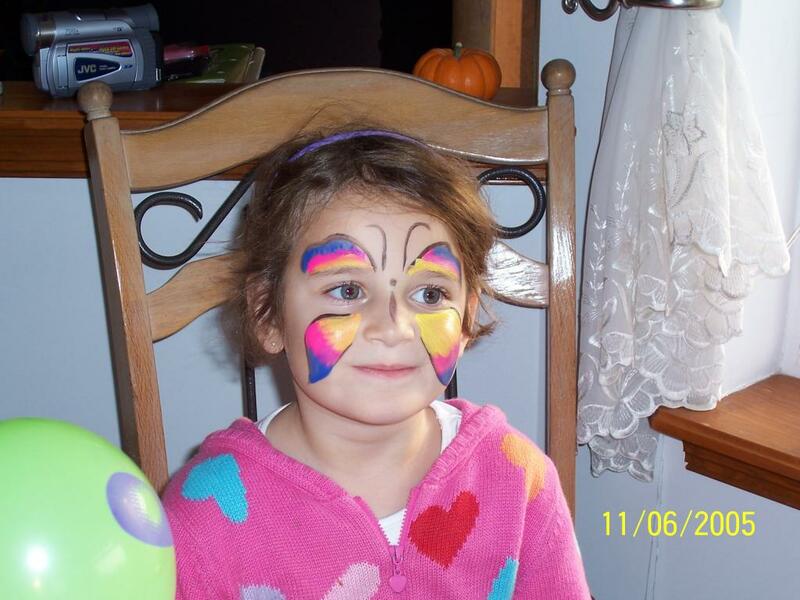 Face Painting can be full face, cheek art, or back of hand. Paint washes off with soap and water or wipe. Age recommendation is all fun for all ages. 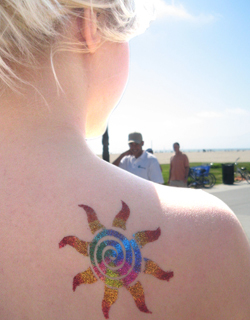 Glitter Tattoos are the most popular body art form today. 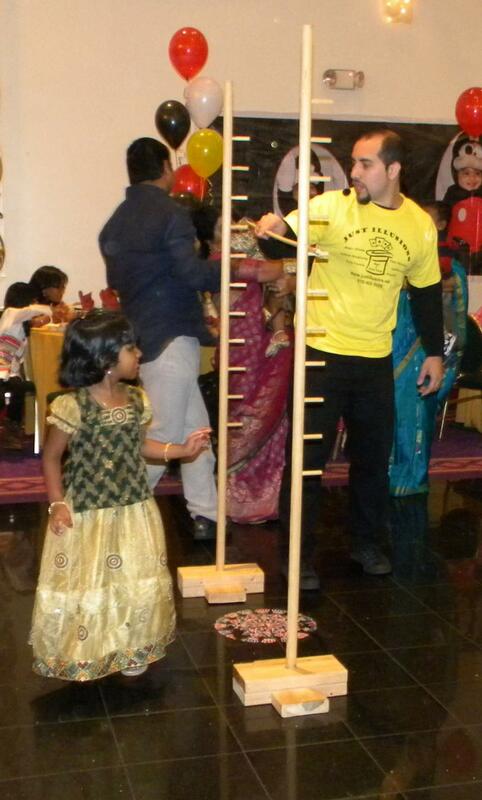 It is a great fun filled way we can entertain your guests in parties and events. 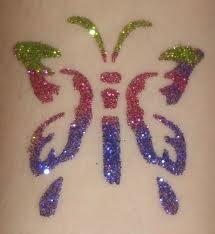 These glitter tattos are waterproof, dermatologist tested and last up to 7 days. 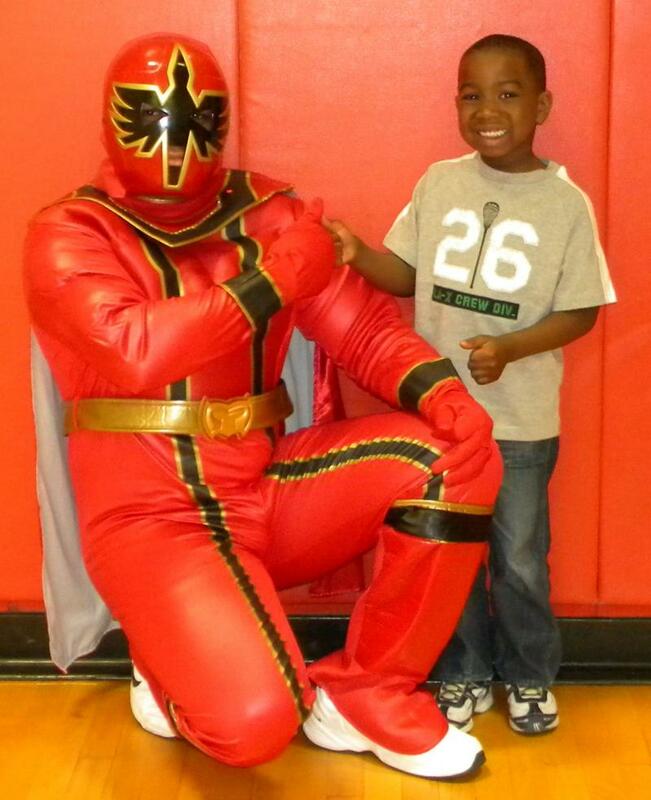 They are popular for everyone of all ages. Many tattoo style to pick and choose from. It's great for sweet 16, showers, children's parties, sleep over parties, school events, funraisers, etc. Call now and book your tattoo party! This show is 30 minutes or 45 minutes of total silliness! Interaction with the audience throughout the show. 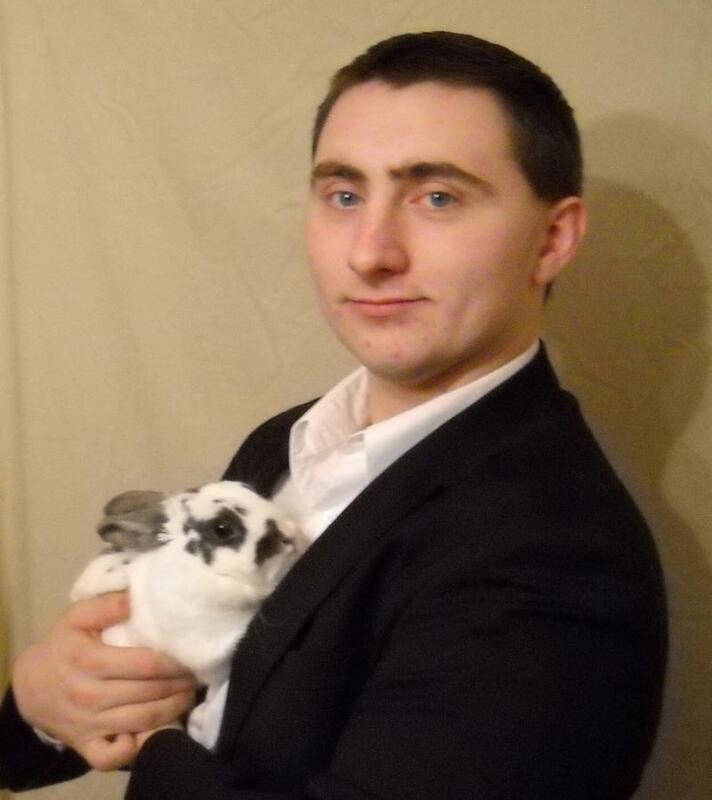 The highlight of the show is when Okito (brown rabbit) or Blackstone (white rabbit) makes their grand appearance. 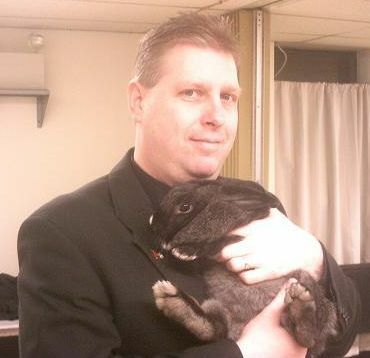 Parents have your camera ready, after the show your child will have an opportunity to pet and pose with these amazing magicians and their talented rabbits! Our professional artist will show the kids how to draw in Anime style. Anime style of drawing is the latest craze among kids 7 to 14. All necessary art supplies will be provided. Supplies consist of pencils, color pencils, paper, and sheet protectors. Group size should be no more than 15. The artist is accompanied by an assistant. Age recommendation is 7 and up. Clowns can take a fun party and make it awesome. 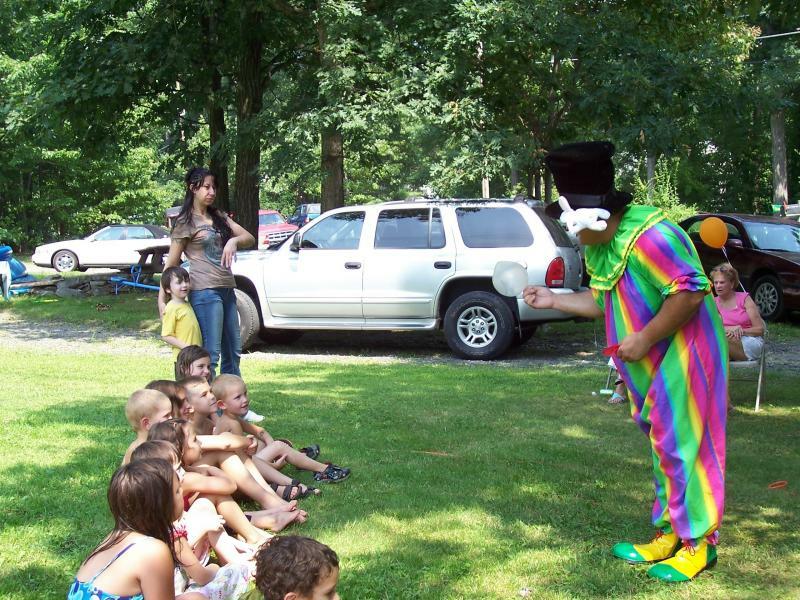 With our clown packages for kids birthday parties or company picnics, the party planning is done! 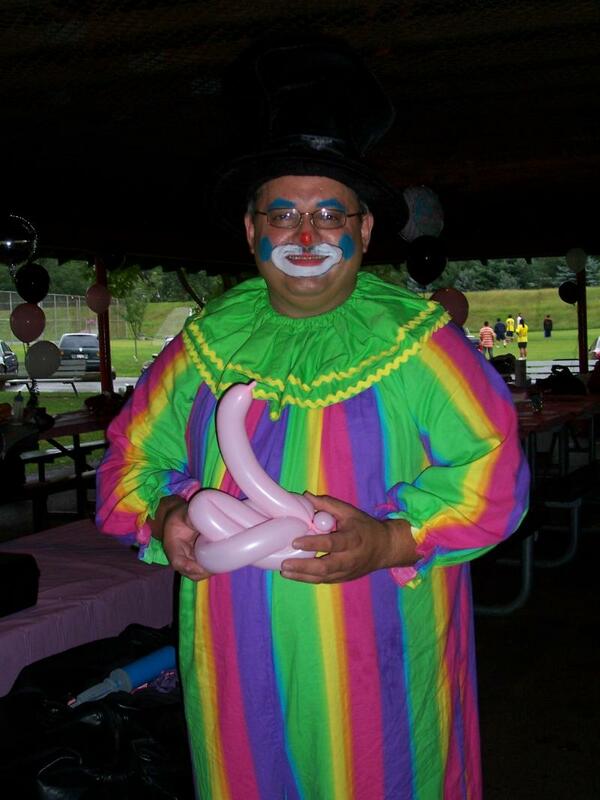 Let our clowns take over and transform your event with magic shows, carnival games, prizes, sand art, carnival pops, balloon twisting, bubbles, glitter tattoos, music, and face painting. 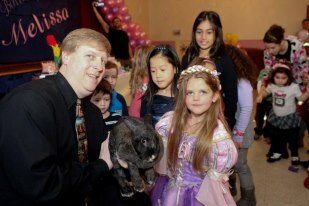 We have several packages available that will surely provide exciting, interactive, and memorable party entertainment. You can watch your child interact with the best clowns for kids birthday parties or you can join in the fun and limbo, dance, and get your face painted! All of our entertainers are employees and we own and maintain all of our costumes and equipment so we guarantee the quality of them. Glitzy the clown will make your fun party awesome! 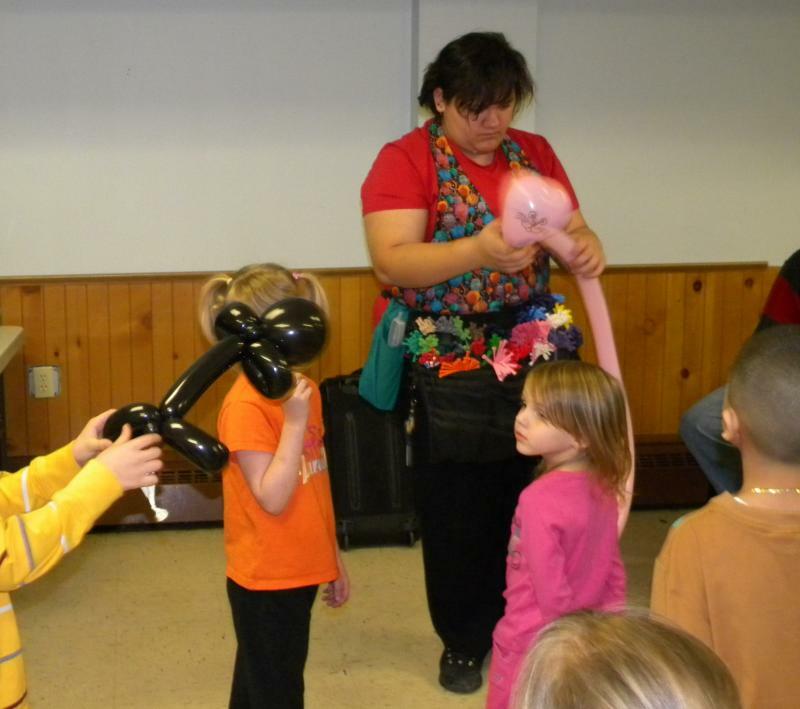 Glitzy's amazing talent at balloon sculptures and her love for games and dancing will make your party fun and memorable! Planning an indoor or outdoor carnival party? 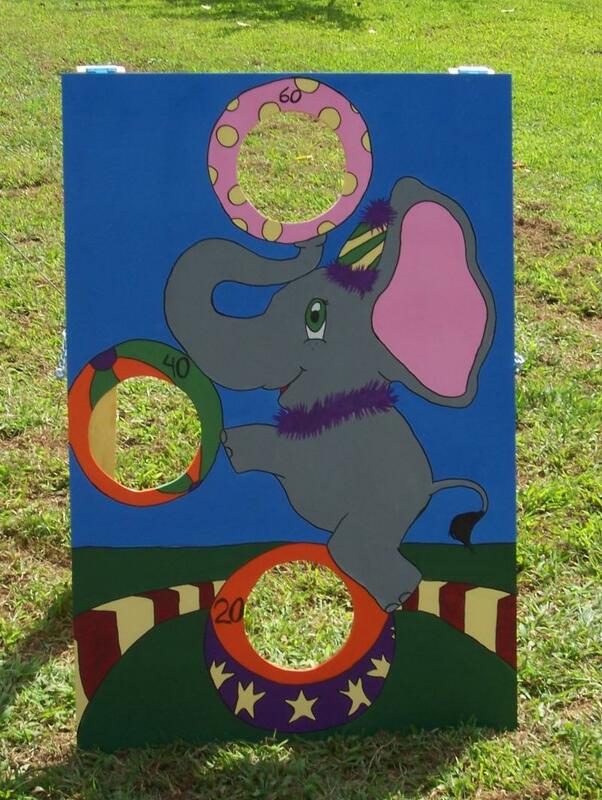 Let Glitzy along with the help of her friends bring her favorite carnival games, sand art, concessions, carnival lollipops, balloons, and prizes to your next indoor or outdoor event! Creating a fun atmosphere with music and song and face painting is our Courtney's favorite thing! Courtney is amazing at playing her guitar and having the kids join in with sing along to their favorite children songs or latest song tunes. This is fun with dancing and games. Kids just love to dance to their favorite children tunes. For ages 3 to 6, the dancing consist of Bunny Hop, Chicken Dance, Hokey Pokey! For ages 7 to 10, the dancing consist of Twist, The Macarena, Cha Cha Slide! As for games, we have Parachute, Limbo, and Spoon and Egg Race! A costume character will take pictures with birthday child and guests. 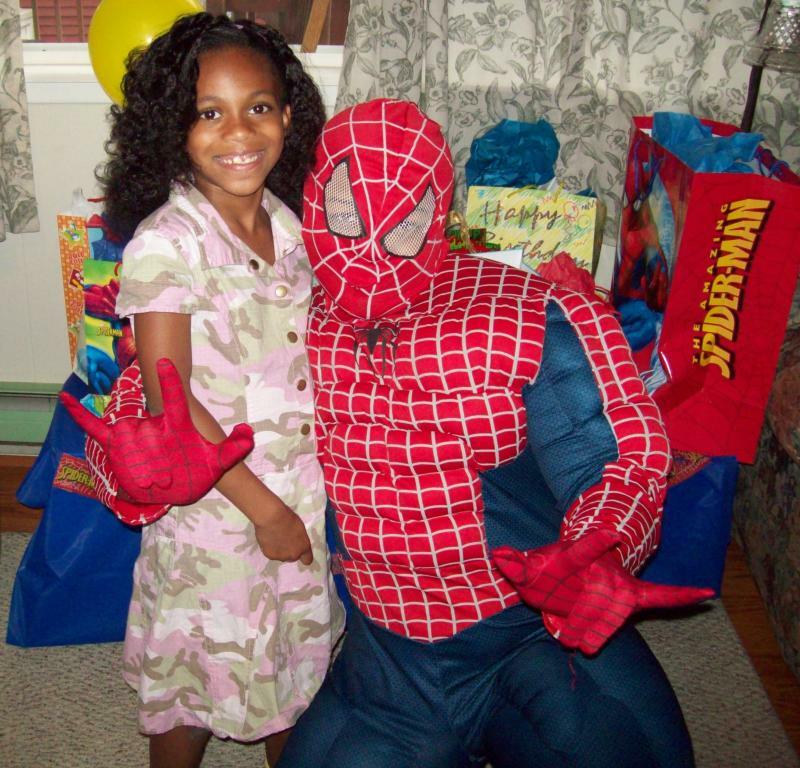 Call us for availability: Blue Princess, Golden Princess, Fairy Princess, Red Ranger, Jack the Pirate, Space Bot, etc. Thank you pictures are also included! Jack the Pirate is ready to do your magic show! This is offered in the summer through early fall. This is fun with competing races. 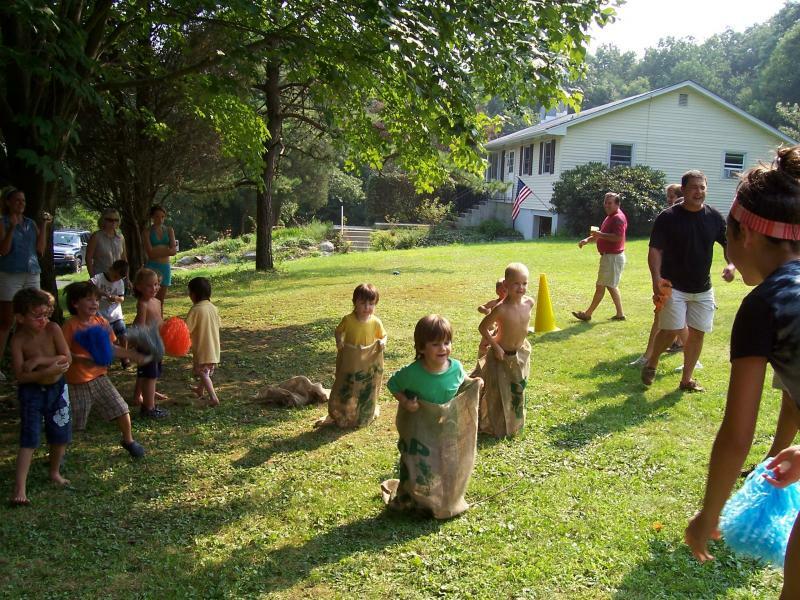 Potato sack races, Three legged races, obstacle races, and egg and spoon races. This is an one hour filled with thrills and laughter where everyone is a winner. Hostess awards a small personalize trophy to the birthday child and all their guests get an award ribbon with a medal. Pom poms provided to parents to cheer the kids on! This is offered in the summer through early fall. You and your guest will party carnival style. 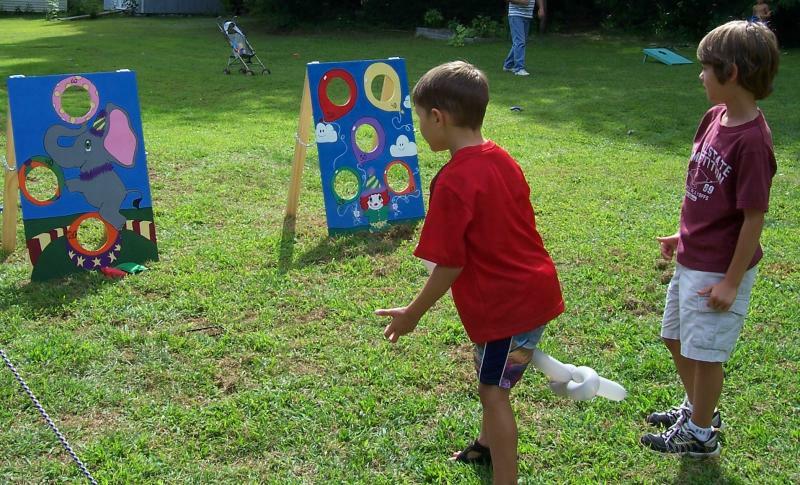 This is an hour filled of knocking the milk bottles, trying your luck at ducks in a pond, ring toss, and bean bag tossing for the highest score. Our carnival assistants will keep tally of your guest score so that they can claim their prizes in the end. Included in this package is Blinky the Clown making his popular balloon sculptures, Circus music or party theme music and canopy. Professional artist offers only one drawing per child/adult, couple or family group, Customer chooses theme for caricature drawing. Your guest will have one of two choices to pick from. 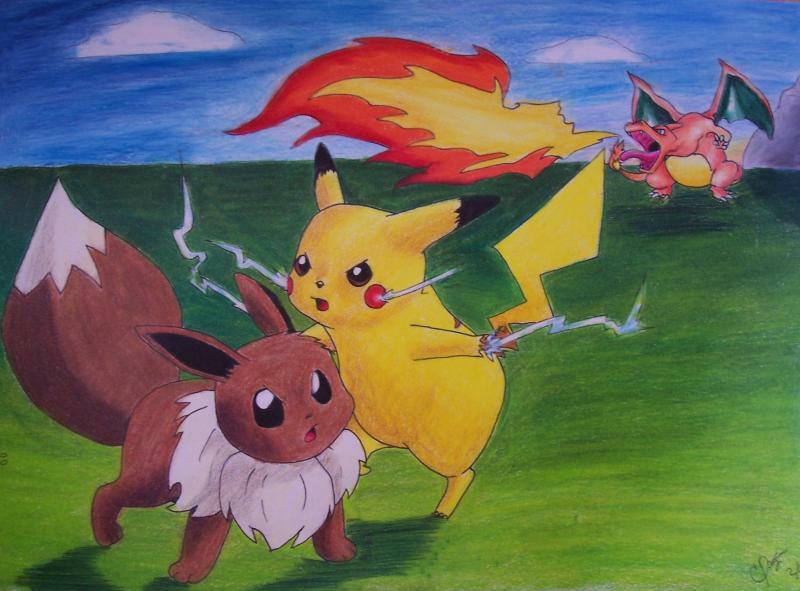 All drawings are drawn prior to the event. Only your guest’s head will be drawn at the event. Each caricature drawing will be place in a sheet protector. A great and fun keepsake each personalized with their name on it. Artist is booked by the hour. Age recommendation is 8 and up. Planning an outdoor party, have fun in the shade. Rent a canopy for a small fee for your next outdoor party! For our schedule of availability, party package prices, and details, please call us at (888) 214-0753 or (570) 402-5086 or email us at admin@justillusions.net. 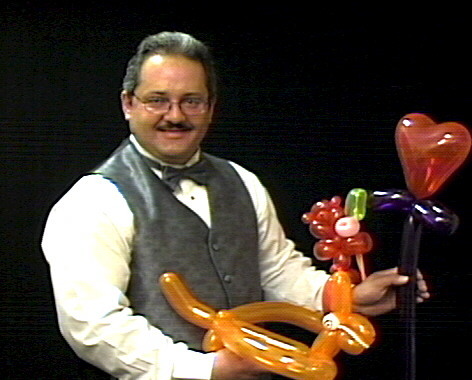 Jim is a master at doing balloon sculptures. 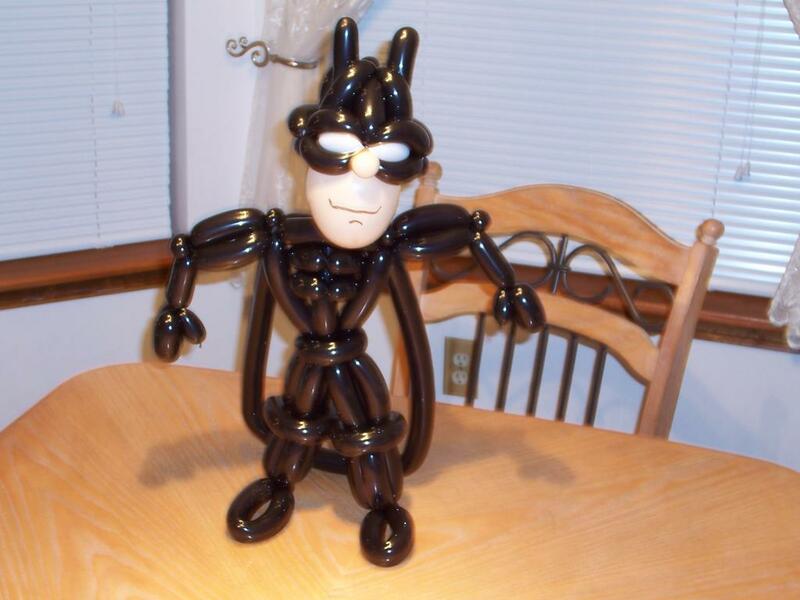 He is always creating new balloon sculptures for all types of theme parties. See his latest addition below. 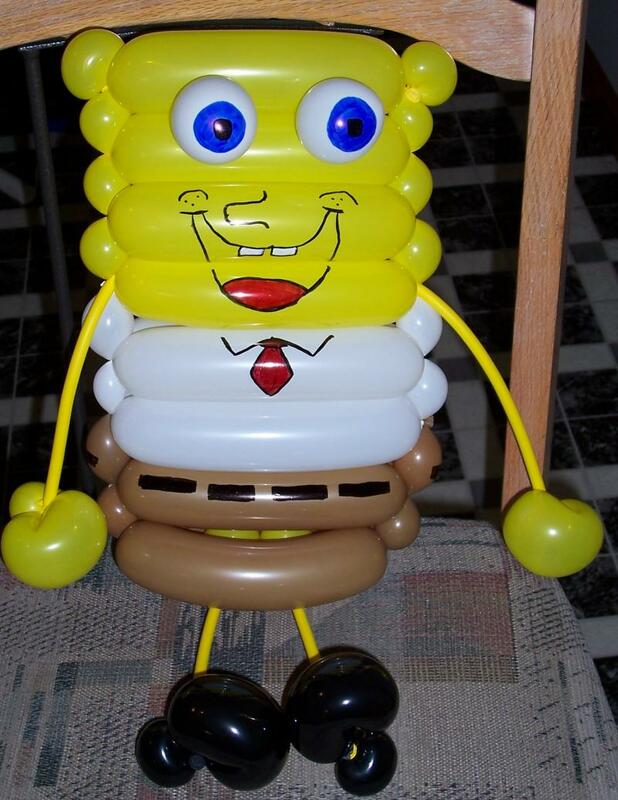 You can also place an order of balloon sculptures to give out as party favors at your next party! One One of our many personalized artist gift for the birthday child included in the Anime Art Party Package. 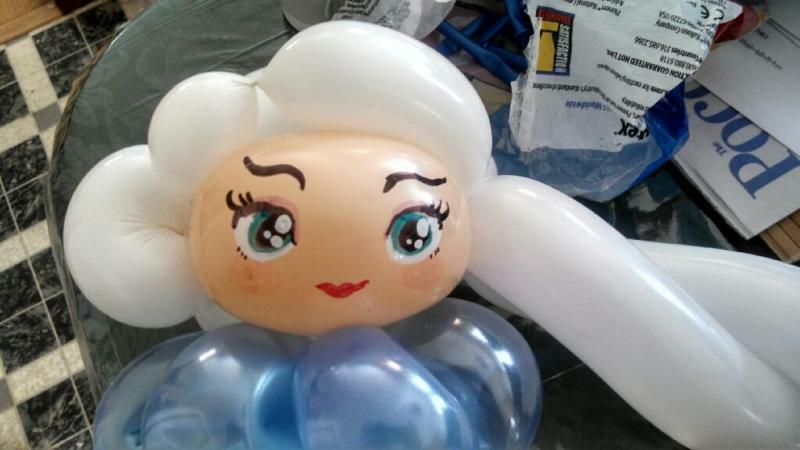 Blinky The Clown is the absolute best at balloon sculptures! 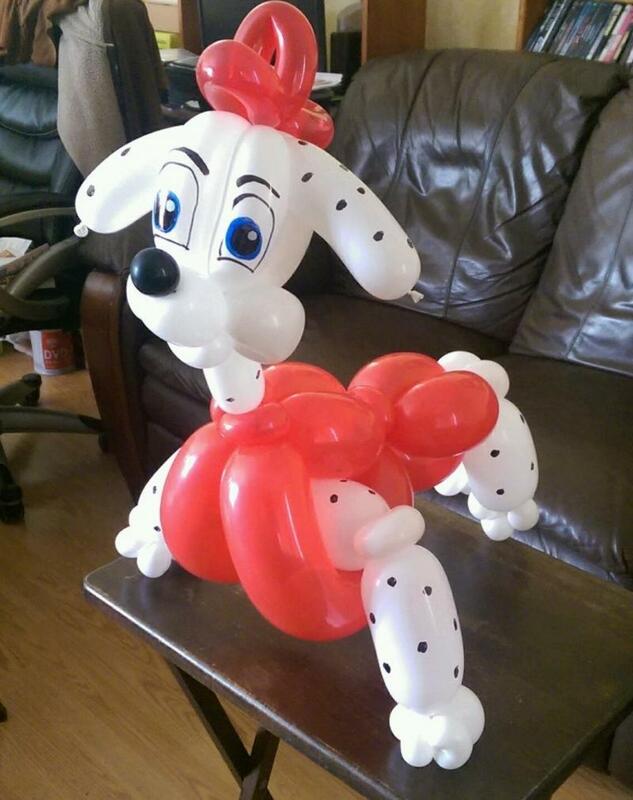 Call early to reserve his amazing talent of balloon sculptures for your next party! Glitzy the clown is ready to share her latest dance moves with you! Hey everybody, it's limbo time! Here is the Royal Knight King Arthur ready to perform at your party! Potato Sack Race part of Let The Games Begin Party Package! Go for the highest score in beanbag tossing from our Carnival Party Time Package! 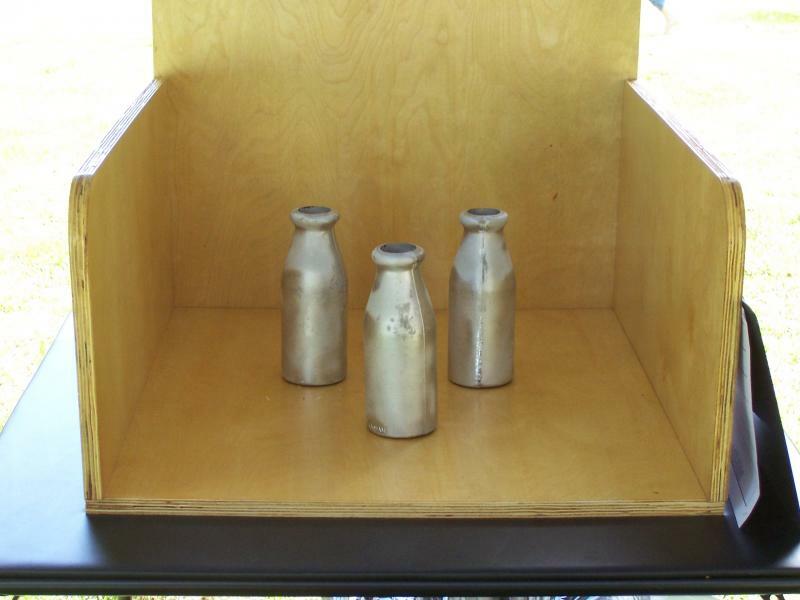 Try your luck at knocking the milk bottles and win a prize!